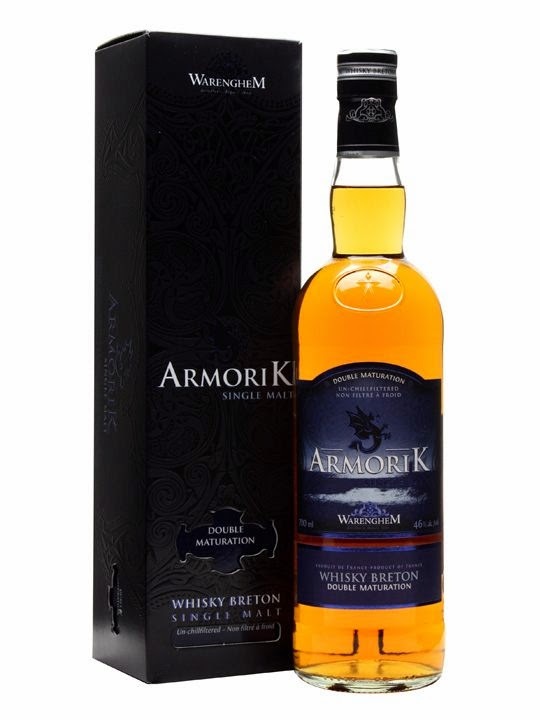 Armorik “Double Maturation” is another creation from the very talented distillers at the Warenghem distillery in Brittany, France. Warenghem pay homage to the Celtic identity of Brittany with every drop of malt whisky they distill, but this whisky is distinctly French in flavour because it takes advantage of the oak and coast of Brittany. A local cooper provides the distillery with unique casks made from the forests of Brittany and these casks then age the distillate for a number of years before it is matured for a second time in sherry casks. Armorik Double Maturation is interesting because it is matured first in virgin French oak from forests in Brittany, and this is not commonly done when maturing whisky. Combine this with a second maturation in sherry wood and the many years this whisky spends by the sea, and what you have is the rich distillate, salty sea, spicy French oak and fruity sherry wood all in one bottle. It tastes delicious, and refreshingly different to Scotch or Irish whisky. On the nose the soft transparent tannins of European oak dance around orange zest and firm cereal notes that are softened by creamy butter, white chocolate, salted caramel, ripe peach and a floral hue of jasmine. On the palate the oak works its magic, as peppery spices emerge on the entry with undertones of minerality and sea salt, intensifying with chocolate coated cranberry notes that suddenly fade into a mid-palate of cereal and zesty orchard fruit. The finish is possibly the best part, as the lingering cereal notes meld with a coastal theme and hints of salt that melt into bright menthol. This tastes almost like an Island finish, common to whiskies from Islay, but without the peat, obviously. The French oak used is certainly unique in its own special way, and the spices meld beautifully with the fruit and sugars from the sherry wood as the clean flavoursome distillate projects creamy barley and some fine distilling. This is among the very best European whiskies tasted on Malt Mileage, keeping company with two other stars: Spirit of Hven No 2 from Sweden and Fary Lochan Single Malt from Denmark. It almost makes me want to embark on a European whisky trail... did I say almost? It does! At $95, this is a must buy European whisky and an elegant, creative whisky that showcases great distilling, rare sherry wood and very unique oak from the forests of Brittany. 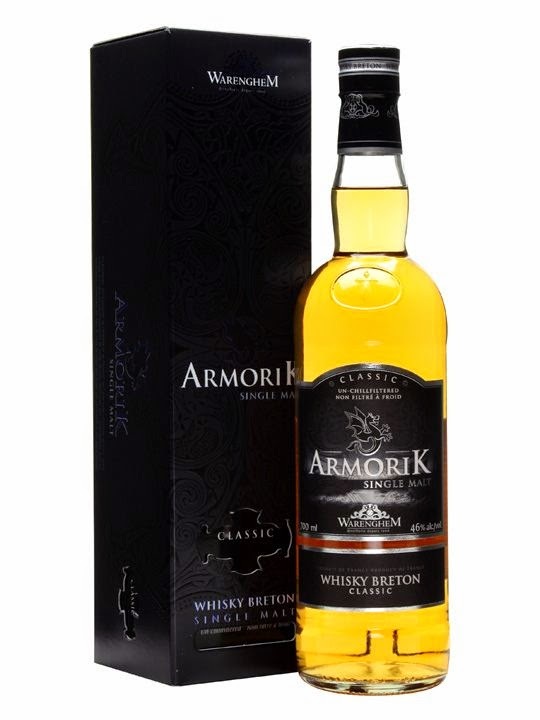 Armorik whisky “Classic” is produced by the Warenghem distillery in Brittany, France. Brittany is a part of France with an innate Celtic culture and is considered to be one of the six Celtic nations, together with Ireland, Scotland, Isle of Man, Cornwall and Wales. Armorik Classic is made from malted barley and granite filtered Breton water, and this wort is then fermented and distilled twice. The distillate is then aged on the coast of Brittany in bourbon and sherry barrels and whisky from these barrels is married together, un-chill filtered, to create Armorik “Classic”. On the nose gentle vanillas meld with fresh cereal notes, creamy barley and chocolate coated raisins with hints of toasted coconut and dehydrated cranberries. The barley emerges after a while, husky and clean. On the palate the whisky is mouth-coating with a creamy layered texture that releases raisin and bourbon themed sugars, vanilla and cereal notes with undertones of spice that fade into a finish of chocolate coated macadamia nuts and a resurgence of the dried cranberry on the nose. At $85 this is an excellent value French whisky that offers a youthful punch, but enough aging to showcase some complex and balanced wood notes. Delicious. Blend 285 is a concoction of blended spirits produced by the Red Bull Distillery in Thailand. It is described on the company’s website as an “admix spirit, made using a careful blend of local ingredients and imported vatted malt from Scotland.” These local ingredients can either be water, alcohol or whisky so what we have in Blend 285 is a fusion of liquid from Thailand and Scotland. Blend 285 has remained in my whisky cabinet for over a year, ever since it was placed there after I returned from a holiday in Phuket. While in Phuket I was keen to try a whisky enjoyed by the locals and I purchased this bottle of Blend 285 in a reputable chain of convenience stores for about 200 baht (approx. $6) after a Thai local recommended it. There is not much written about Blend 285 and its contents is seems to be a closely guarded secret – an ideal reason to slip on my Singha t-shirt, order some local Thai food and get into the spirit while I unpack this mysterious blend. The nose presents with hints of peat within a framework of juicy red apples, cherry jam, dried apricot and soft vanillas. The whiff of new make emerges after a while, relatively acceptable but with what smells like a fair bit of smelly higher alcohols and tails from a distilling run. On the palate the spirit takes on an gelatinous texture and then the flaws emerge – the acrid burn of alcohol seems very much neutral, like a cheap vodka, and that astringent bitterness lingers into the finish with the taste of chemicals and nail polish remover. The nose was definitely promising, but the whisky showed its flaws on the palate. At around $6, I would not buy this whisky. I'm not even sure it should be endured even for free, unfortunately. Fary Lochan is a distillery located in Denmark, a beautiful country that first caught my attention many years ago when Peter Schmeichel guarded the goals of Manchester United and the Danish national team. Then came the fairy-tale wedding that captured the hearts and minds of all Australians - the marriage of a Prince of Denmark to an Australian we now affectionately call Princess Mary. Denmark is therefore known for producing magic, so let's see whether Fary Lochan can live up to (my) expectations. Fary Lochan is delightfully a small batch operation. The expression tasted by Malt Mileage is from batch #1, bottle number 361/555 and cask 2010-02 which was filled on 16 April 2010 and bottled on 14 September 2013. This tells me a few things about the whisky. Firstly, it is a single cask and therefore its character is quite unique, because no cask is exactly the same as the oak in each cask is different and imparts different flavours into the whisky. Second, it is a whisky that has matured for just over 3 years. This seems to follow a trend in European whisky to release whisky after it has been in oak for three years, because only after three years maturation can a whisky legally be called "whisky". There are some obvious problems with this strategy. While whisky in warmer climates (Australia, Taiwan etc) may mature more quickly because oak pores expand when warm and thereby allow more interaction with whisky within oak barrels, countries such as Denmark (or Sweden, Norway, Germany etc) have quite cool climates. This means that whisky from European countries with cooler climates cannot be expected to mature as quickly as whisky from warmer climates. There is a risk, therefore, that such whisky can taste raw and underdone and I have tasted numerous European whiskies that simply taste immature. 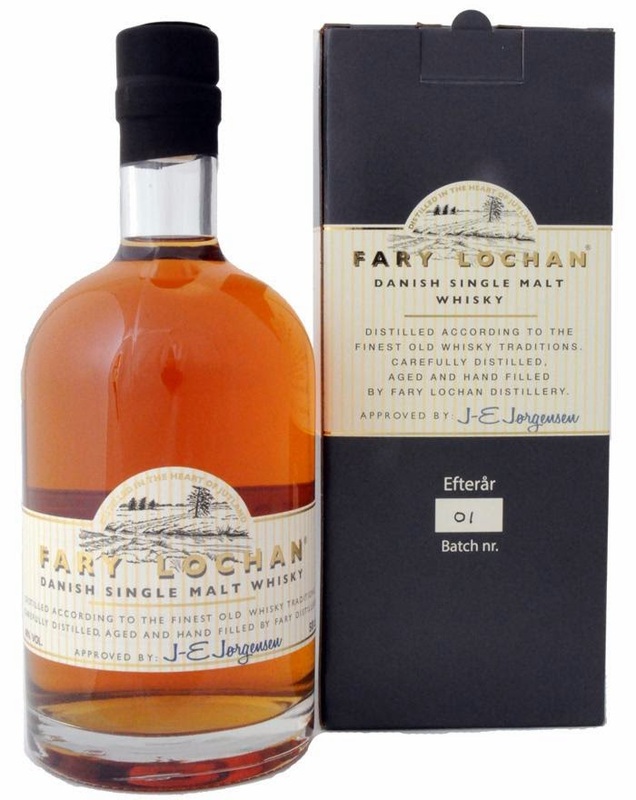 Fary Lochan appears to represent the evolution of European whisky into something that tastes "ready", young, bright and yet very different to Scotch, Irish, Australian or even Taiwanese whisky. It tastes like European whisky. Fary Lochan smells and tastes distinctly Danish, and it projects a flavour profile that can only be described as lollyshop with red and black jelly beans, resinous honeyed wood, lemon peel sponge, oily barley and hints of maple with floral hues of rose, lavender and a slightly peppery, zesty, finish with anise seed, walnut loaf, raisin, mocha and intensifying wood notes that morph into lingering bittersweet mandarin peel. It is perhaps one of the best European single malts we have tasted on Malt Mileage, keeping company with Spirit of Hven No 2 (a Swedish whisky). It is youthful, but the distiller appears to have carefully selected the cuts to make sure the whisky is clean, sweet, pure and light enough to mature the way it has in three years. 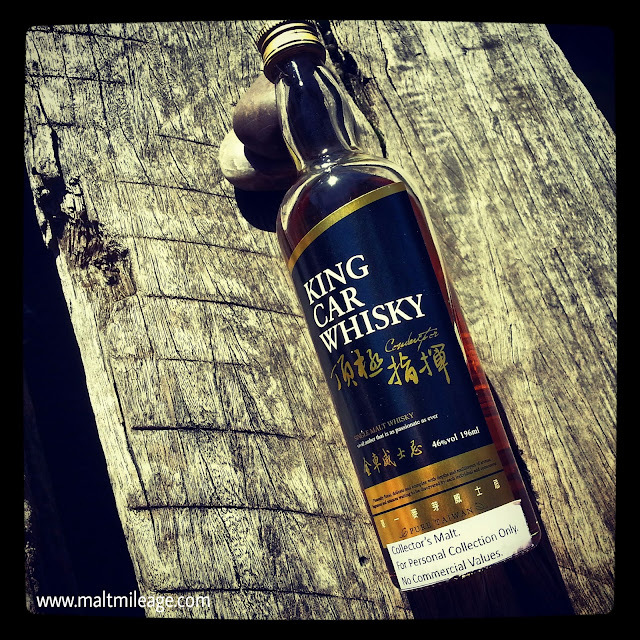 King Car whisky is produced by the Kavalan distillery in Taiwan and it takes its name from the owners of Kavalan, the Taiwanese King Car Company. The King Car whisky is intended to be complex, rounded and multi-faceted to pay homage to the diverse work of the King Car Group. The whisky itself is evidence that Taiwan can produce world class whisky that is complex, elegant, interesting and mature. That maturity is a big part of what makes Kavalan so intriguing. In warmer subtropical climates such as Taiwan the pores in oak expand from the heat and soak up more whisky than in colder climates. This means that whisky can mature more quickly in Taiwan. It also means that a whisky can get too “woody” before being mature because it soaks up the flavours of the wood without breaking them down properly or undergoing sufficient oxidization. Whatever oak casks have been used by Kavalan to mature King Car whisky, they are a masterstroke and testament to the fact that in the right conditions whisky can mature quickly without getting "woody" first. Despite having been matured in such a warm climate as Taiwan the King Car whisky has an almost perfect balance that offers a multidimensional display of fruit, vanillas and wood spice with only a semblance of "woodiness" emerging in the finish. This is a mature world whisky. Not woody, mature. In my opinion King Car is one of the most fascinating world whiskies on the market. So fascinating in fact, it has taken me a while to fully appreciate it. Nose: Banana, vanilla, sweet custard buns, cherry ripe, toasted coconut, chocolate, papaya, ground pepper, nutmeg and mild saffron. Taste: On the entry the whisky is smooth, rounded, complex and energetic with sparks of spice bursting within its layered creamy texture. Vanilla and reduced banana with bitter dark chocolate soften sparks of peppery wood spices and cracked cinnamon as hints of wood begin to emerge. Finish: Hints of salt with a distinctly umami twist drift over the drying wood notes, bitter dark chocolate and a resurgence of the papaya and toasted coconut on the nose. Austalian whisky has certainly taken the world by storm in recent years, and one of the newest distilleries in Australia is New World Distillery located in Melbourne, right near Essendon airport. New World Distillery produces Starward whisky which is now available at Dan Murphy’s for around $80 – a good price for an Australian whisky because most retail for in excess of $100. This post follows a re-tasting of Starward, having first tasted it over a year ago. The idea of maturing whisky in oak barrels is to smooth out the rough edges of the new make spirit and add flavour to it, through what is in effect filtration through oak (because the pores in oak soak up the whisky, treat it and spit in back out). This takes time, and a whisky should draw out all the lovely flavour compounds in oak without becoming dominated by the wood or tasting woody. The whisky should ideally be balanced, allowing all components of the whisky - the distillery character in the distillate, oak flavour compounds, wood, previous contents of the oak etc - to play their part. Sometimes, one component dominates. In the case of Starward, in my opinion the wood dominates. 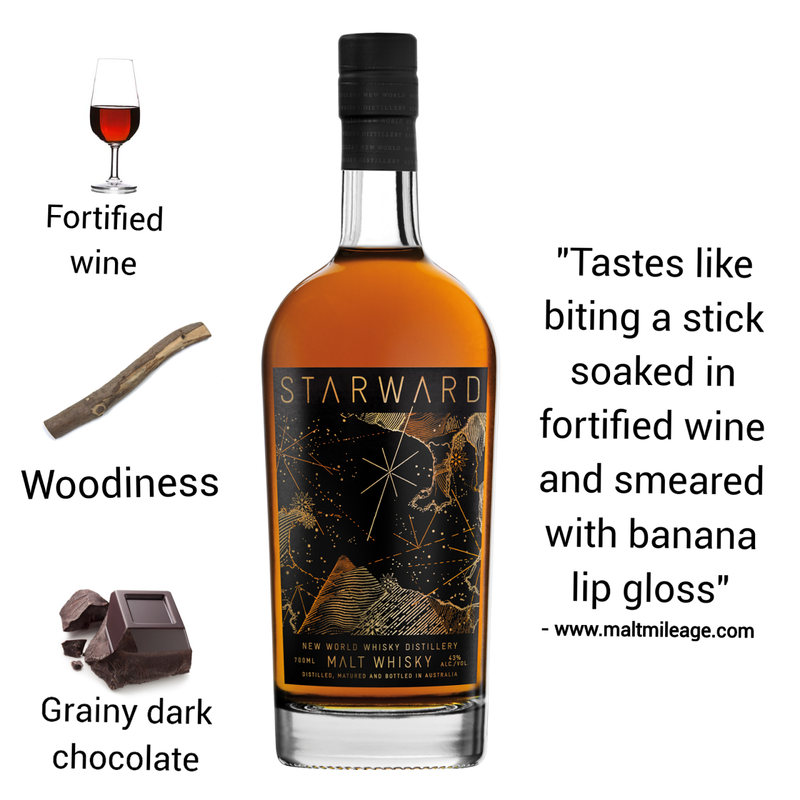 In my opinion Starward whisky offers a fruity distillate with lashes of barley, banana lip gloss and fortified wine inspired wood notes that radiate dark chocolate but it smells and tastes woody and dominated by wood and fortified wine, not mature. The wood seems to sit over the other components, holding them back and preventing them from shining more fully. The components also seem poorly integrated. For me, it is unbalanced. Granted, it is quite a unique whisky being aged in Melbourne and in Apera casks (until 2010, Australian sherry). However, for $80, this particular batch of Starward (purchased around Christmas 2013) was a disappointing buy because it is so woody. Batches do change, however, and I am looking forward to tasting the most recent batch of Starward soon to see if the wood dominance has receded to allow the whisky to take on a more balanced - and in my opinion much more palatable - character. 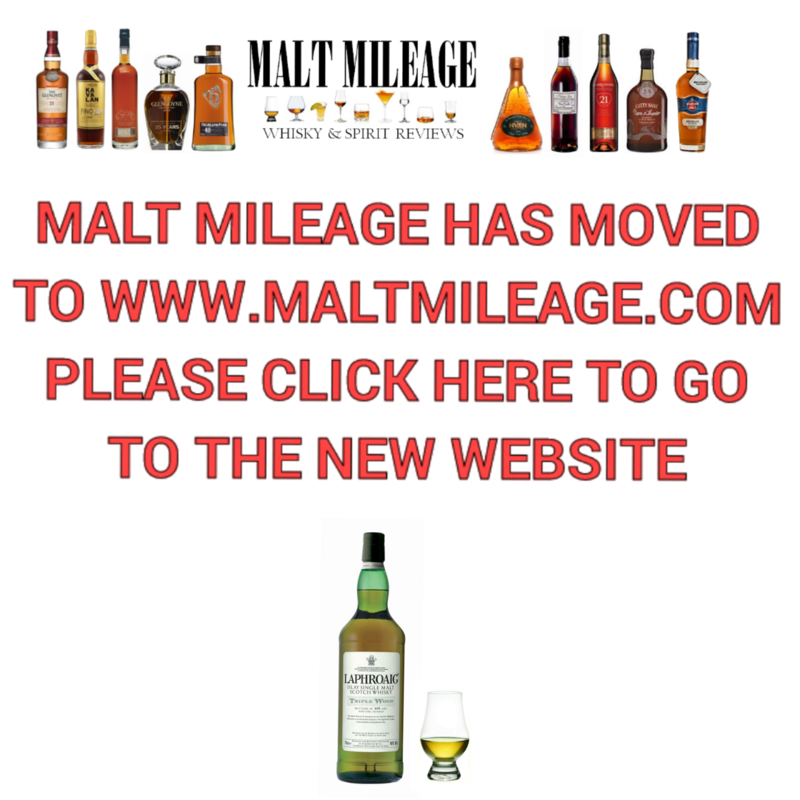 Malt Mileage has received a number of communications from Starward which aim to explain why the whisky has a woody character etc. This does not change how Starward tastes to me: woody, not mature. I love all kinds of whiskies - peaty, full-flavoured, spicy, fruity, young, old, those with lots of tails or nice clean spirits - so long as they are balanced and not dominated by one component of the whisky. In the case of Staward, it tastes dominated by the wood. For more information on whisky production and maturation please see: Malt Mileage Guide to Spirit Making. 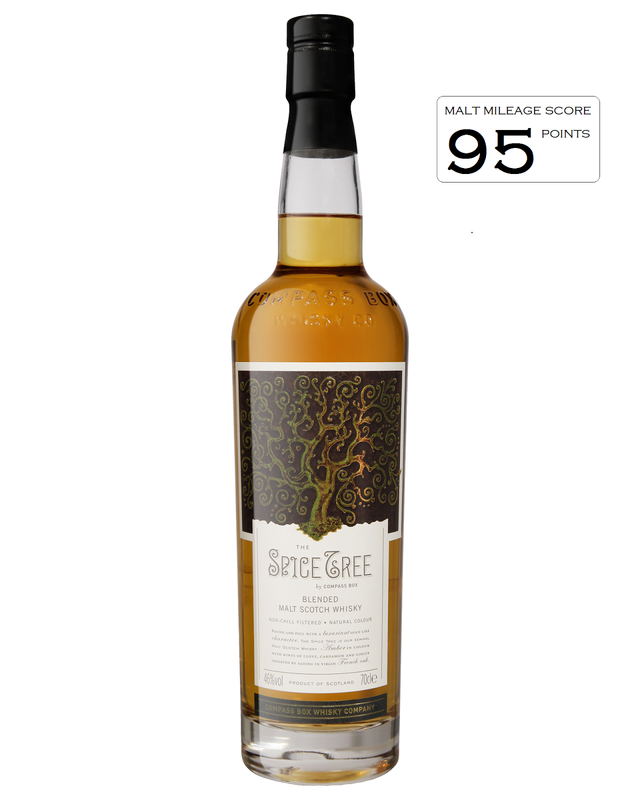 Compass Box Spice Tree is a blend of Highland malt whiskies that have been creatively spiced up with a second maturation in oak casks fitted with new French oak heads with three different levels of toasting. The different levels of toasting allows the spice rich French oak to release different flavour compounds and absorb unwanted flavours through what is in effect carbon filtration, and this contributes to the energetic and intricate display of full-flavoured picante magic that is the Spice Tree. At £39 or $85 it is a good value malt blend that showcases high quality Highland malts with a creative spicy twist. The predecessor to this delicious whisky, also called Spice Tree, was discontinued by Compass Box because the company was threatened with legal action by the Scotch Whisky Association (“SWA”). Instead of using new French oak barrel heads, the original Spice Tree had used oak stave inserts which were placed within used oak barrels and the SWA claimed that this practice was illegal. Compass Box chose to re-invent Spice Tree as a result, and this is why Compass Box now relies on the new French oak barrel heads, and not inner staves, to give the Spice Tree its unique spicy twist. Nose: Rich waves of vanilla emerge with candied citrus peel, dried fruit, spicy gingerbread, chocolate, rolled oats and mild scorched nuts, as herbaceous undertones merge beautifully with oily barley and mild bourbon notes. Taste: Rounded, rich and dark with lots of spice, zest, tang and oak, the whisky has an entry of rich dark chocolate, clove and almond biscuits, orange peel cake, scorched crushed nuts, toasted vanilla, gingerbread, burnt bitter toffee and dried herbs. At mid-palate the heat intensifies with the bite of sweet picked ginger that radiates in the palate, gently warming it with sparks of cinnamon, clove and overtones of a dark chocolate black forest layered with dark cherries and a softer vanilla. Finish: Deliciously oak driven but hardly oak dominated, the finish offers intensifying clove, cinnamon, dark chocolate and burnt vanillas with the lingering sugars of reduced caremalised cherries.